There are various different types of meditation. Every religion and culture has their own version of how to properly meditate. In traditional Buddhist meditation the concept of “transforming the mind” is taught. Buddhist meditation encourages people to concentrate on “true nature” and promotes emotional positivity. In Christianity, the concept of meditation is through prayer. Christian meditation encourages followers to have open conversations with God. Within the Hindu religion, meditation is a prominent factor in the practices of that faith. Hindus typically practice “Mantra Meditation” which is performed by the person meditating repeating a mantra in his mind for the duration of the session. Other forms of meditation are used apart from any religion such as, Sound Meditation, also known as “Nada Yoga. This practice teaches students to focus on sounds such as white noise, a ticking clock, birds chirping or music, therefore forcing the mind to focus on one thing and allowing the mind to find serenity. Many meditative practitioners recommend not only diffusing essential oils but also applying them to certain chakra regions depending on the type of meditation you are practicing. Chakras are defined as energy centers of the body. Each chakra is connected to different organs, energy sources and emotions. If you are struggling with a specific emotion or health in a certain area or body system, alternative practitioners recommend focusing on healing that chakra. The use of essential oils has been used to “tap into” chakras and promote wellness and rejuvenation. 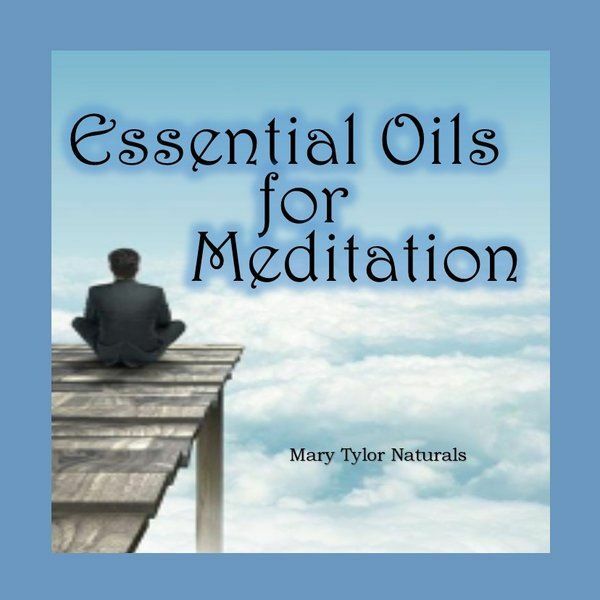 Regardless of which type of meditation you practice, essential oils can be of great benefit to your sessions. Diffusing or topically adding these blends can help you find mindfulness and serenity. 1. Clary Sage- Clary Sage has been used for centuries by various cultures to purge dark energy and remove negativity. Adding it to your diffuser will promote a positive meditative experience. 2. Neroli- Known as a “spiritually transformative” essential oil, when used during meditation, it can help you connect to your inner self and allow you to enter a deep meditative state. Can be applied topically or diffused aromatically. For best results, apply 2 drops with 2 teaspoons of carrier oil on your chest and over your heart to promote openeness in your heart chakra during your meditation session. 3. Sandalwood- Sandalwood is a cleansing essential oil that can help de-stress and relax you. This oil can promote focus and help you concentrate on what you are meditating on. Especially useful if you practice “mantra meditation.” For best results, apply 1 drop with 2 teaspoons of carrier oil in the center of your forehead to promote balance in your third eye chakra during your meditation session. 4. Frankincense- This oil has been used since Biblical times to promote wellness. When added to your meditation session, it can help improve the health of your mind, body, and spirit. Can be diffused or applied topically. Best applications for meditation is to apply the Frankincense over your root chakra areas, which are lower extremities of the body. For best results, apply 2 drops with 2 teaspoons of carrier oil on your lower abdomen and feet to promote grounding in your root chakra during your meditation session. 5. Vetiver- This essential oil supports metabolism, boosts the immune system and promotes natural relaxation. It can also help reduce brain fog and promote mental clarity and calm. For best results, apply 1 drop with 2 teaspoons of carrier oil to upper abdomen in the stomach area to promote self confidence and serenity in your solar plexus chakra during your meditation session.